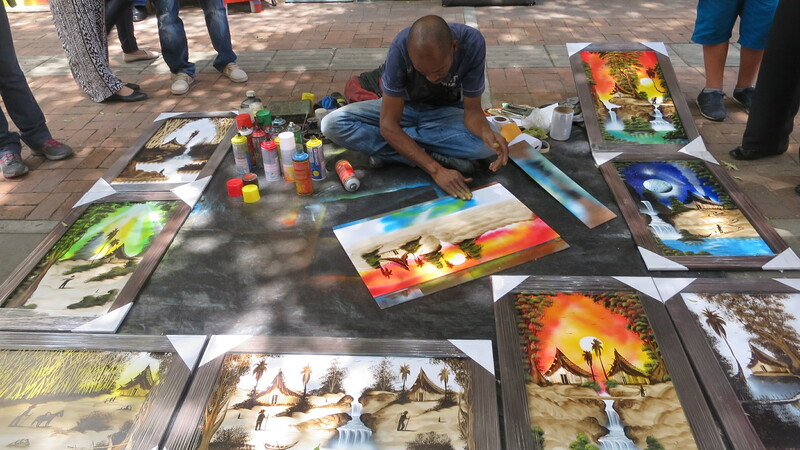 Last week, we ticked one of our bucket list, which was visiting Medellin. So, this week, we are having a long weekend, coz on Monday, August 15, is a holiday for a religion ceremony in Colombia. We were planning to travel again but since we’re kinda ‘broke’ we didn’t really create plan instead, we’ve got so many interesting invitations to fill up our weekend. 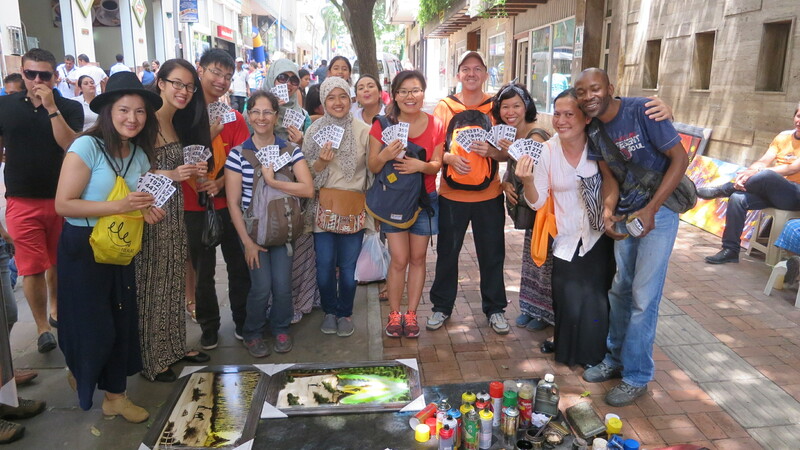 On Friday, in the classroom, our Profesora Dilma had an idea to do a city tour on Saturday. It was perfect. 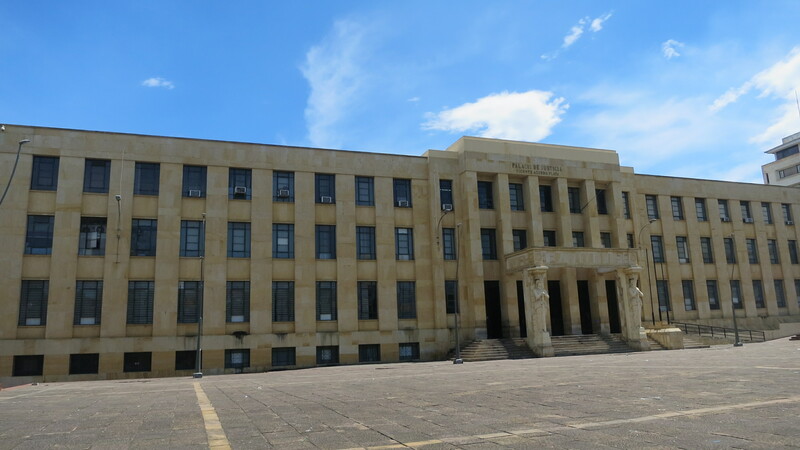 We met at 10.00 in front of Éxito Cabecera, (you guys will be so familiar with this if you live here :)) , and then took a 3 taxis to the centro. We were 11: 3 Colombians (Dilma, Nicolas, y Gabriel), 1 Thailandesa (Suthida), 1 Malasia (Fui), 1 Mongolianesa (Gundi), 3 Vietnameses (Trang, Gema, y Antonio), 2 Indonesians (Liyush y yo a.k.a Erin). 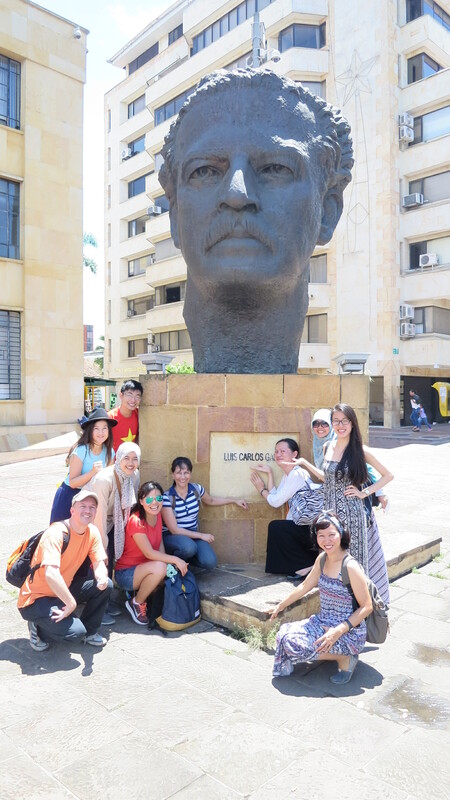 When we arrived at the square of Palacio de Justicia, closed to Statue of Luis Carlos Galan, our guide of the day, una profesora muy amigable, explained about the history. It’s a place for the citizens where they can complain about taxes or any civil problems. 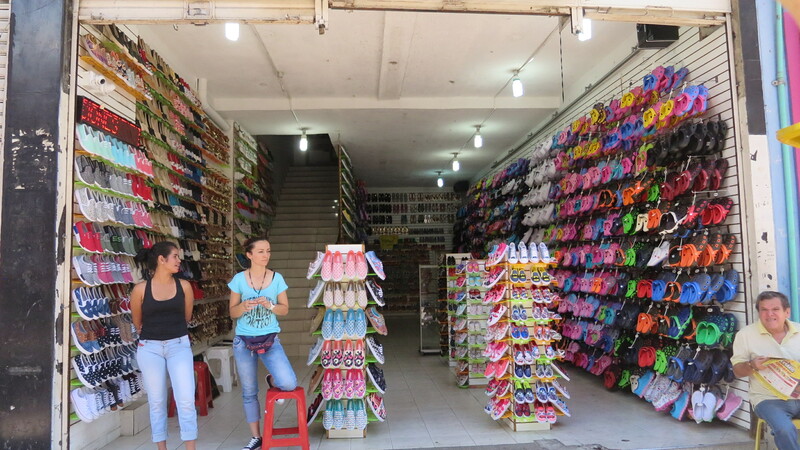 Luego, we walked straight to a street where there were many shops: bookstores, $5mil shops, etc. 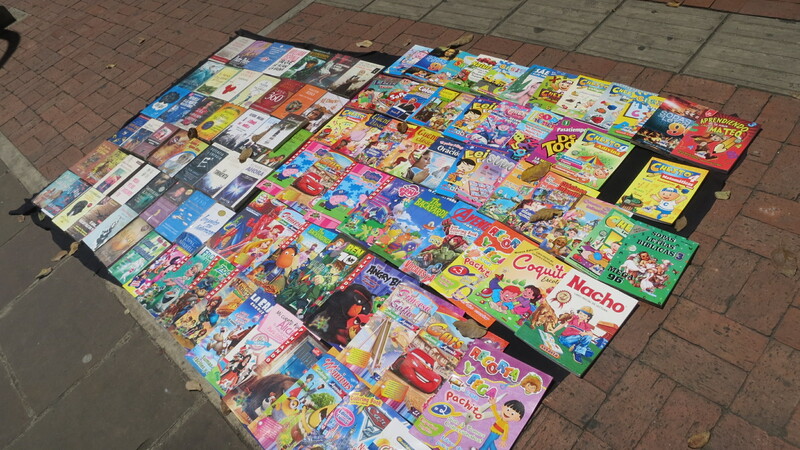 We purchased some cheap books in Spanish! 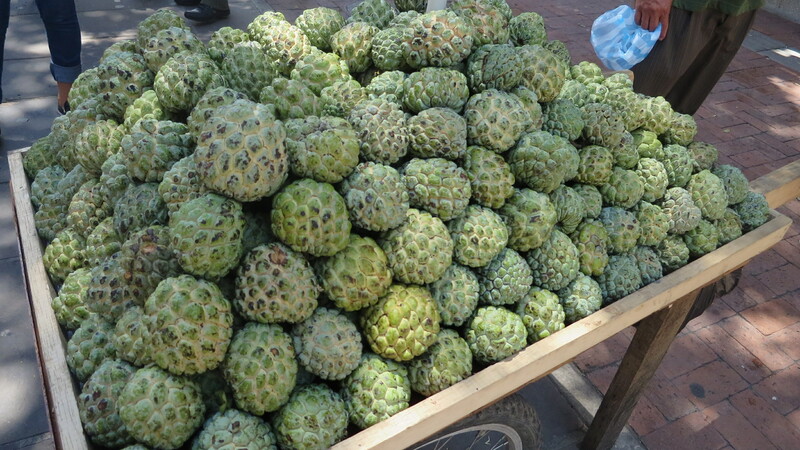 Along the way, there were so many fruit stalls such as Pittaya, Uva, Guanabana etc. and of course, some of us were tempted to try. Then, there was an artist who was drawing everybody’s attention. Se llama, Felix, and he knew how to do business. At the end, he created a lottery and one winner won a free painting including the frame. My friend from China, Ruijie, still bought the painting eventhough she didn’t win the lottery. 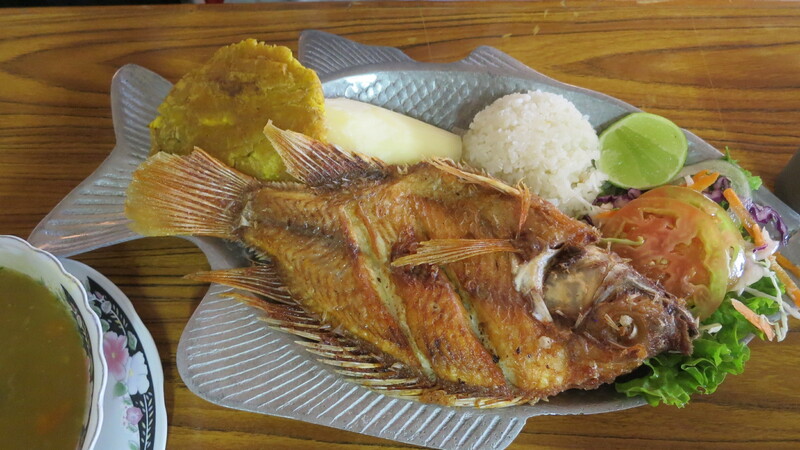 Más tarde, our stomach is calling. We’re heading to the 4th floor of Plaza del Mercado to have almuerzo. 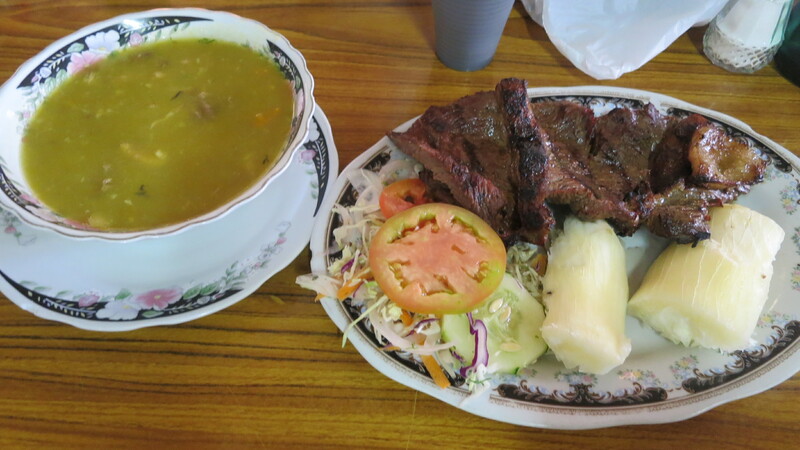 I had Carne Asada, a beef steak with boiled cassava and salad, and the others had Pescado, a plate of fried fish with rice and soup. 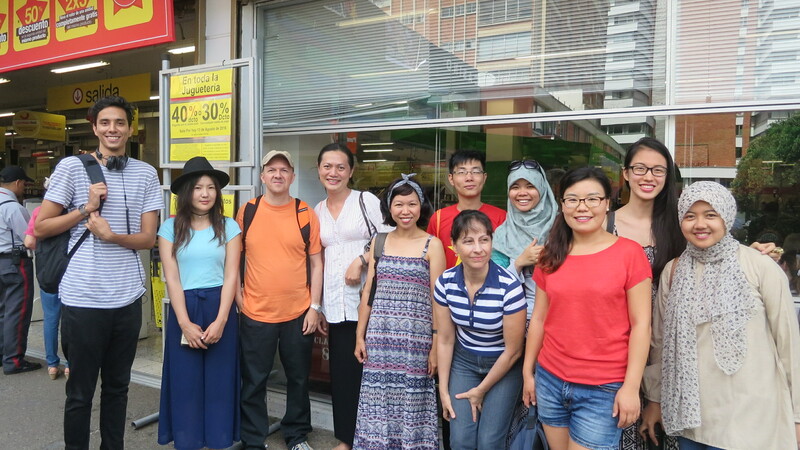 It was a big lunch, so quite enough to refuel our energy to do shopping. 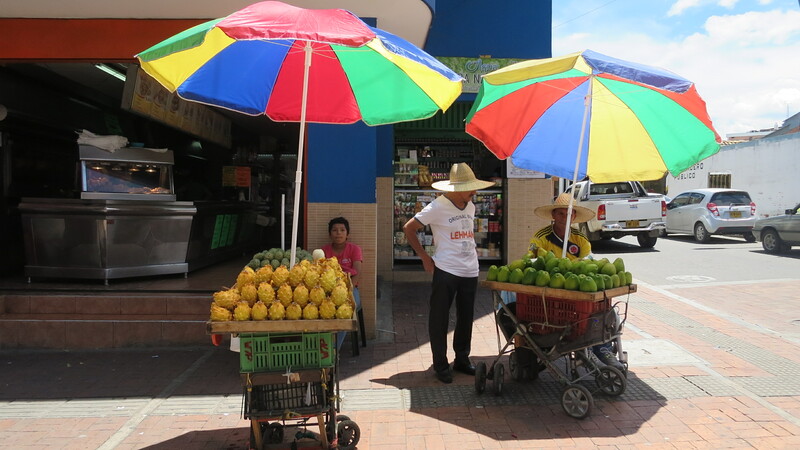 Plaza de Mercado is a very good local market, I mean, original traditional market of Bucaramanga. 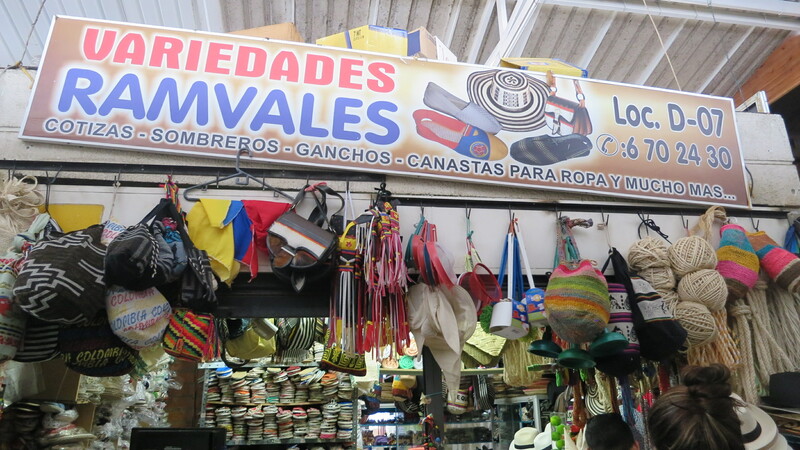 You can find basicly anything in this area such as, fruits, vegetables, meat, arts, and souvenirs. 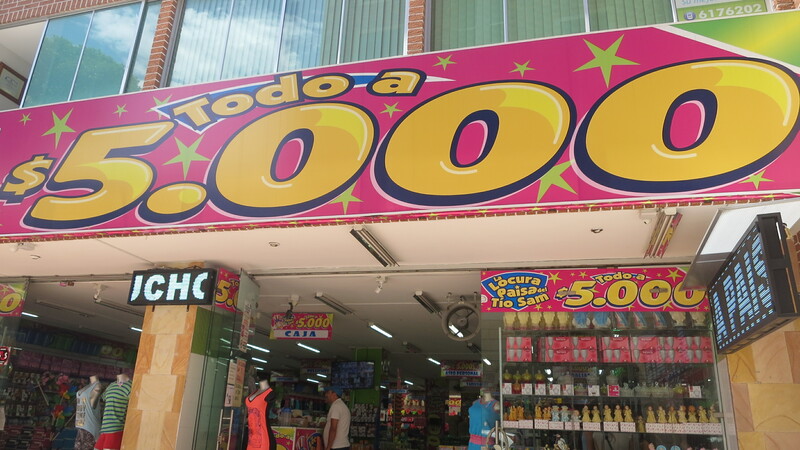 It’s a good place for shopping when you can speak a little bit of Spanish, you may have a great deal. So, I purchased Mochilla, a traditional bag & the famous one from Colombia made from Figue leaves. There are two types: handmade or machine-made, for sure the handmade one is more pricey. 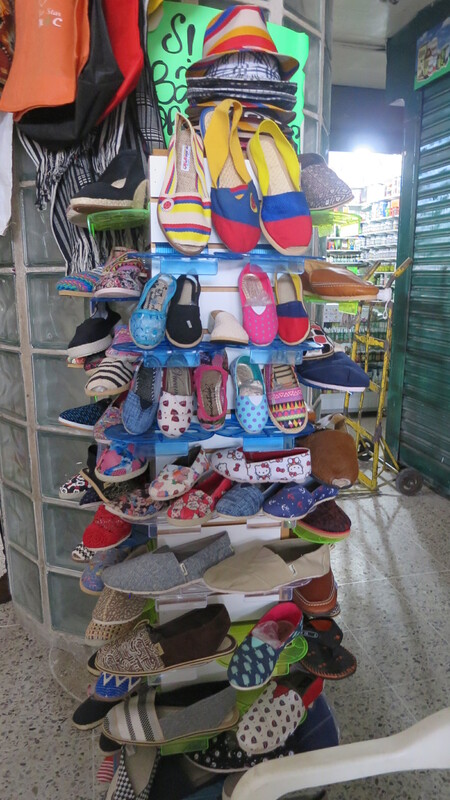 And I also found unique shoestore, a very typical Colombian one. It’s a sandal but also made from Figue, so they told me it has a good circulation so it’s good when you’re walking in the sun. Around 5 pm, we took a taxi back to Cabecera, but me, Trang, Fui, and Nicolas were going to a party. We’re headed to Matamba, a creative artspace created by Edward & Melissa, which I found out awkward in the beginng, but awesome at the end. So, we got to know the Colombian culture, how they’re interacting and what kind of activities they do during the party. I found out it was amazing, coz one of the girl just came to me and told me this: “It’s amazing to have you here, coz you opened my eyes to Islam, a religion that is not very common here in Colombia. I’m really glad to share about Islam & Muslim (the people who believe in Islam) and also glad to hear opinions about it. It was a blending between various people, things, and cultures, which I found to be so spectacular! We were playing games (I’ll talk about this in the next post), I had a veggie sandwich with limon con panela, and there was a bonfire with music to complete our night. Thanks to Nicolas who brought us there.